As a prime destination for meetings in Alberta, the Fairmont Hotel Macdonald offers over 10,000 square feet of conference and meeting space. These flexible function spaces can accommodate anywhere from 10 to 350 patrons in stylish boardrooms and magnificent ballrooms. 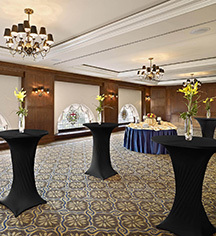 Having set the standard for meeting venues in Edmonton, the Fairmont Hotel Macdonald also provides state-of-the-art facilities, office amenities, secretarial services, and a Group Solutions team to help plan each detail. 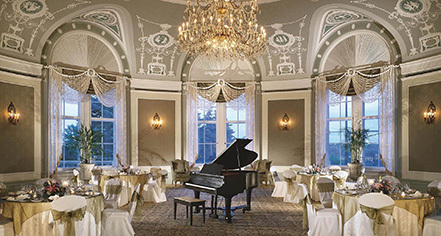 To reflect the standards of the beautiful capital city it resides in, the Fairmont Hotel Macdonald’s charming spaces include the stunning Empire Ballroom, a designated historical site, as well as traditional boardrooms. Packages are available.